What Are Your Rights When You Are a Suspect in a Police Investigation? If the police are questioning you about where you were or your actions in association with a criminal investigation, you should consider yourself a suspect. You need to be very careful what you say and do so that you do not sound guilty or have your statements lead to criminal charges. You also have important protections under our U.S. Constitution that you need to understand and enforce in this situation. Right to leave. If you are not under arrest and have not been given your Miranda rights under the 5th Amendment to the U.S. Constitution, you can and should leave. If the police stop you, the problem may be that you may not be certain if you are being arrested or simply questioned. The best strategy is to ask the officer. If he says that you are not under arrest, you should leave and contact an experienced criminal defense attorney right away to help you determine your next steps. Right to privacy. Your right to privacy under the 4th Amendment to the Constitution gives you the right to be protected from unreasonable searches and seizes of your property and yourself. Unless the police have a search warrant, you have a right to refuse to allow them to search your home, car, other property, or you. Right to remain silent. You have a right to remain silent and not incriminate yourself under the 5th Amendment. If the police are questioning you, you should invoke this right and remain silent. You should also advise the officer that you want your attorney present. You should not answer the police officers’ questions or talk to them because they could get you to make incriminating statements. Right to an attorney. Under the 6th Amendment to the Constitution, you have a right to an attorney. If you are a suspect or are even worried that you are, you want to exercise this right and retain an attorney. Hiring an experienced criminal defense attorney immediately may help you avoid criminal charges. What Should You Do If the Police Want to Interrogate You? If the police bring you in for questioning, this is not a time to go it alone. You want to exercise your right to an attorney and contact an attorney immediately before having any further discussion with the officers. It is critical that you remain firm and insist that your lawyer be present before you speak to the police. Do not lie or obstruct an investigation. This is a separate criminal offense that you could be charged with. Do not waive any of your rights. If you are placed in a holding cell, do not discuss your case with inmates. Do not discuss your case on a jail telephone as the conversation could be tape recorded. What Does it Mean If the Police Stop Questioning Me? Unfortunately, it does not mean that you are not a suspect if the police stop questioning you. They could be exploring other evidence and leads in their investigation or obtaining a warrant for your arrest. 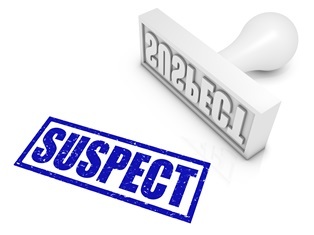 Are you a suspect in a criminal investigation? If you have not exercised all of your rights, all is not lost. Our experienced criminal defense attorneys have helped many people who have not followed all of the advice in this article. Call our office today to schedule a free consultation to get your questions answered and help in dealing with the police investigation.